Pipeline wars arrive at Supreme Court. What's next? Legal fights over the expansion of natural gas pipelines across the East Coast are starting to make their way to the Supreme Court. Since October, pipeline challengers have filed at least three petitions that have reached the country's most powerful bench. More are expected. Each case targets oversight of natural gas pipeline projects that have proliferated across the nation as a result of hydraulic fracturing in the Marcellus, Utica and other Appalachian shale plays. And each shows critics are becoming more savvy in their challenges, particularly against approvals by the Federal Energy Regulatory Commission. 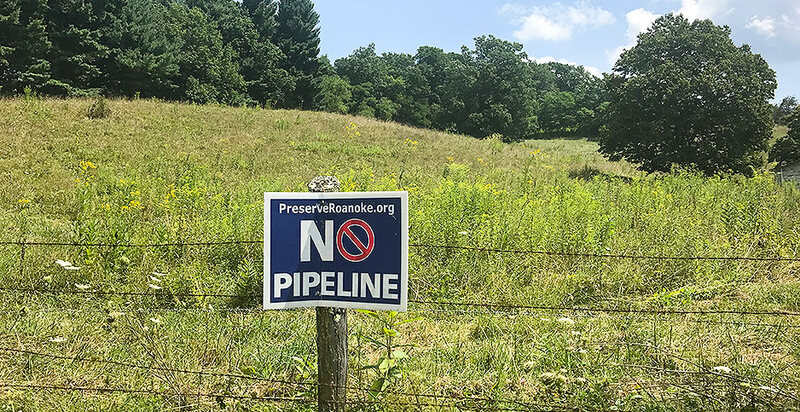 "This is a reflection of the fact that opposition to the commission's pipeline permitting process is evolving over time," said Christi Tezak, a managing director at ClearView Energy Partners LLC. Pipeline opponents have won some of their challenges in federal court. Notable victories include 4th U.S. Circuit Court of Appeals rulings that scrapped forest-crossing and species take permits for the 600-mile Atlantic Coast gas pipeline through West Virginia, Virginia and North Carolina. Recent court orders have halted construction on the project. Pipeline critics have also suffered some losses, including three cases the Supreme Court could consider. "Because of fracking, there's been so much natural gas pipeline-building activity for the last 10 years," said Alexandra Klass, an energy law professor at the University of Minnesota. "A lot of that is now happening in states on the East Coast where there's more organized opposition to building pipelines, versus places like Texas. "You also have much more concerns these days about climate impacts, particularly in that part of the country," she added. One pipeline-related petition is up for review Friday. The Supreme Court takes up just a tiny fraction of the thousands of cases it receives each year. The three petitions now before the court center on two particular pipelines, but rulings in those cases could have ramifications for the broader network of gas transport projects along the East Coast. Transcontinental Gas Pipe Line Co. LLC's Atlantic Sunrise project, a 200-mile Pennsylvania pipeline expansion, is at the center of Adorers of the Blood of Christ v. FERC and Delaware Riverkeeper Network v. Pennsylvania Department of Environmental Protection. The 300-mile Mountain Valley gas pipeline through West Virginia and Virginia is the focus of the third petition, Orus Ashby Berkley v. FERC. But the cases, petitioners say, have implications far beyond the projects from which the challenges stem. "This case is not about the wisdom of building a pipeline," the Berkley petition says. "It is about individual liberty, the separation of powers doctrine that secures that liberty, and the Constitution that dictates that separation. "It is not an 'anti-pipeline' action. Nor is it a 'pro-pipeline' action. The issue here is neither a 'left' issue nor a 'right' issue," the petition says. "It is, rather, a constitutional issue affecting the private property rights of all Americans (and even non-citizens) who either own property or wish to own property." What questions will the court tackle? Each of the three petition poses a different question about federal oversight of natural gas pipelines. The Berkley petition, which appeals a 4th Circuit ruling, raises concerns about FERC's use of eminent domain for the construction of the Mountain Valley project and other pipelines that are arguably not in the public interest. The Fifth Amendment of the Constitution requires that private land takings be conducted for public use and in exchange for appropriate compensation. 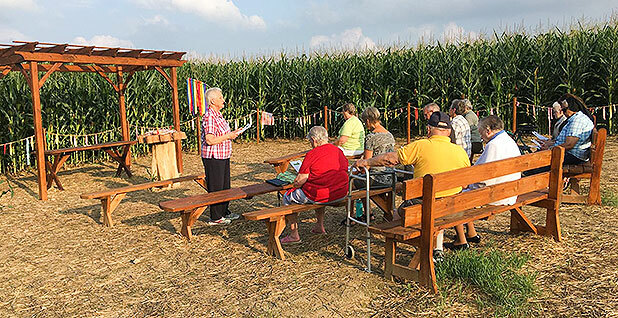 Challengers in the Adorers case, a group of Catholic nuns, contend that Atlantic Sunrise conflicts with the Religious Freedom Restoration Act (RFRA), which generally prevents the government from burdening religious exercise. A 3rd Circuit ruling on FERC's administrative process, they argue, has effectively boxed out their RFRA claim. The Delaware Riverkeeper Network petition asks whether the 3rd Circuit violated the 10th Amendment, which preserves state authority, when it pre-empted the Pennsylvania Environmental Hearing Board's review of a key water permit for Atlantic Sunrise. How likely is the Supreme Court to hear the cases? 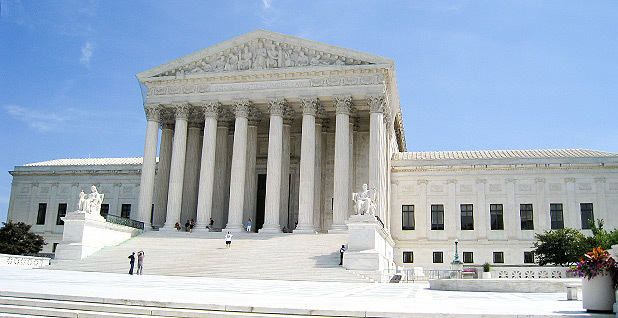 During each Supreme Court term, which runs from October to June, the justices receive about 8,000 petitions. The court typically hears just 80 cases each session. The odds are therefore good that the court will reject all three cases, but it's still notable that pipeline challengers are raising these questions, said David Bookbinder, chief legal counsel at the Niskanen Center. "The chances of any given certiorari petition being granted are small, but I think as they begin to stack up, the court will begin to look at them," he said. Justice Department attorneys have already asked the justices not to take up the Berkley and Adorers cases. "[T]he court of appeals correctly concluded that Congress required petitioners to bring their challenge to the siting of Transco's pipeline before FERC and then in the court of appeals, a 'judicial proceeding' in which they could 'obtain appropriate relief against a government' as guaranteed by RFRA," DOJ wrote in its response to the Adorers petition. The federal government has not weighed in on Delaware Riverkeeper Network, which was filed last week. At least four Supreme Court justices must vote in favor of accepting a case for review. "The bottom line is there are probably different justices that are interested in one issue versus another," said Klass of the University of Minnesota. "The question is whether enough justices will coalesce around one particular case." A number of other pipeline-related challenges are bubbling up through the court system, including a lawsuit over FERC's recent overhaul of its approach to climate analysis for natural gas projects, said Tezak of ClearView (E&E News PM, May 18, 2018). "I don't think these are going to be the last," she said. Click here to read the Adorers petition. Click here to read the Berkley petition. Click here to read the Delaware Riverkeeper Network petition.